We've got our hands on the GearPods Survival Pro which is going to run you $69. 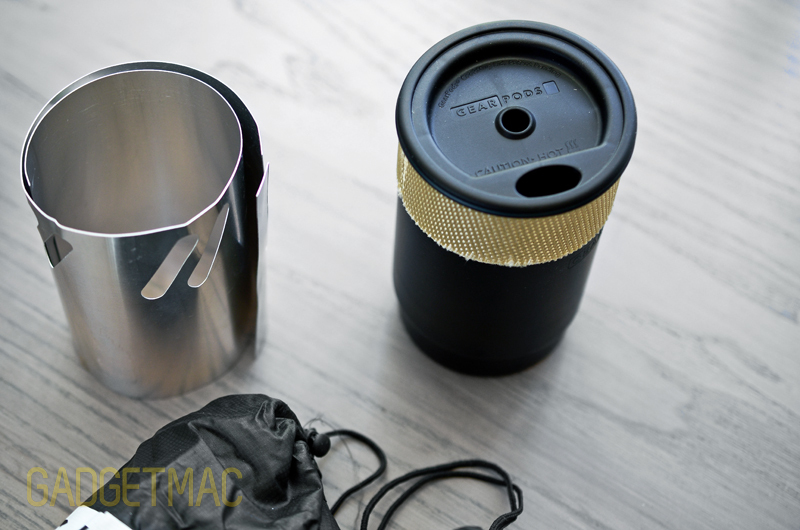 This is a 6-inch long (3.2-inch in diameter) pre-assembled kit system that's equipped with a GearPods Survival kit and Stove System designed and geared for navigating, signalling, fire starting, purifying water, fishing and snaring, small equipment and clothing repairs, boiling water and last but certainly not least, cooking! All this using only a 6-inch long waterproof tube that fits in your backpack like a small portable speaker. 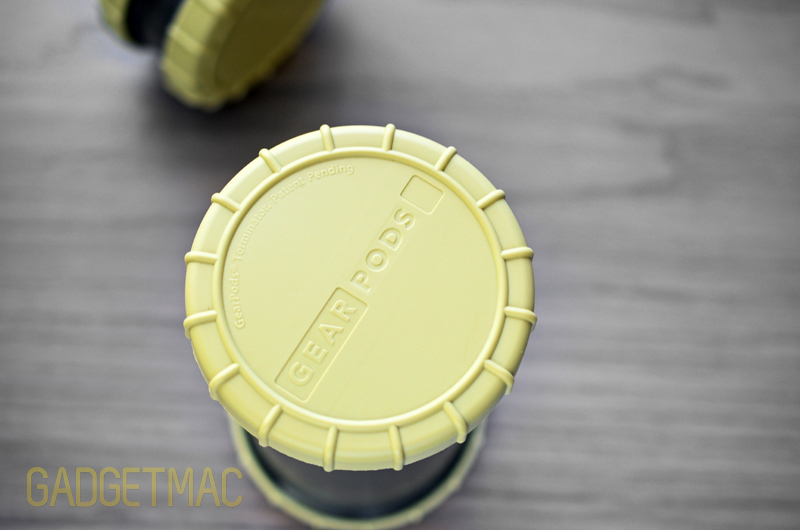 The GearPods Survival Pro feels very well made and designed, and so are the additional components and containers. While you can choose between multiple types of GearPods kits like the $89 GearPods Backcountry which packs a "mini hospital" module on top of a Survival Pro kit filled with first aid accessories, you can also purchase empty pods and parts to create you own customized gear care package. But since these are all waterproof, you can alternately use these for protective gadgets and other things which don't necessarily have anything to do with the concept of keeping you alive. We highly recommend that you check out some of the offerings GearPods has to offer. 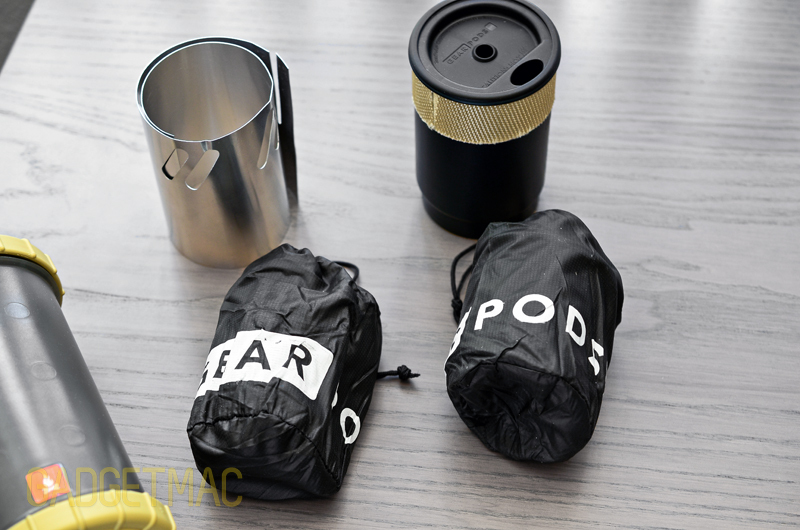 The GearPods Survival Pro is the equivalent of a military MRE (meals ready to eat) kit. It's literally packed to the brim with everything you could possibly think of to aid you with starting a fire to heat up water and food, catch some fish down in the river, purify undrinkable water and loads of other small tools that are all there to hopefully help you in case of an emergency or any other form of outdoor adventure you partake in. If a flashlight is all you've got, you better rethink your strategy with one of these well stocked GearPods. Unfortunately these pods aren't going to be of any help surviving a zombie apocalypse. GearPods has a straightforward modular system that lets you attach extra pod containers should you wish to keep everthing together in one long kit. 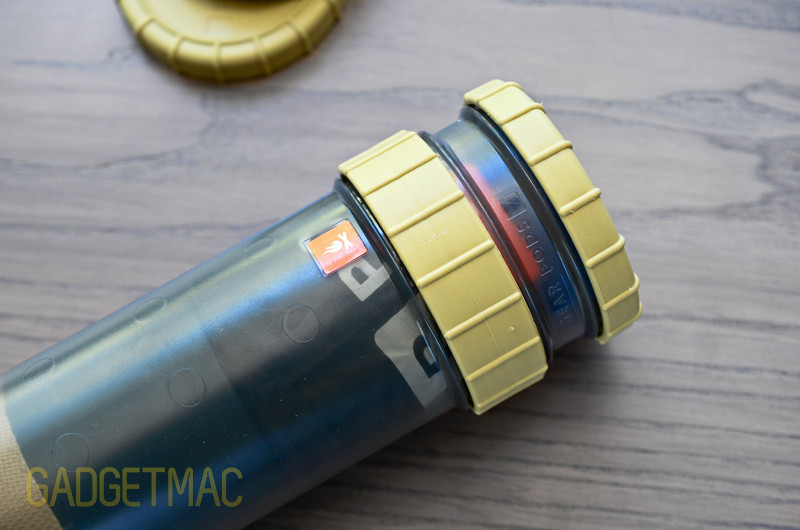 An empty small container will run you $6 and together with a GearPods Connector peice, you can easily attach it to your Survival Pro or any other GearPods container. The small waterproof container is big enough to store a Zippo lighter and a couple of spare batteries and other things that you don't want to get wet like pills and such. Like we said ealier, these are great for such applications by themselves. As you can tell there's an abundance of decent stuff here. It's all there, but we would still recommend carrying with you a nanoStriker fire starter on your keychain and a proper folding knife which will do a much better job than what's included for a longer period of time. While the Survival Pro kit should help you avoid dying as long as you're up to the challenge, not everyone has it in them to instinctively use these tools to survive days without help or ready to eat packs of food. Not everyone knows how to use the tools to their advantage but you should start now and always be prepared.